It’s been over a decade since we last heard from Manchester’s J-Walk. Having presently shed his co-producer, Martin Desai, this second full-length is ostensibly the work of Martin Brew alone, and it certainly shows. The duo’s 2002 debut album was a two-headed beast of funk – one stiff and robotic, one loose and… well, funky. 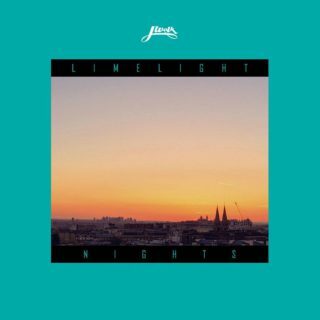 ‘Limelight Nights’ veers toward the former, but the steadfast forward-motion – not entirely intentionally – conceals nostalgia. While the sultry en français of ‘Aimons Toujours’ and the title track’s compu-G-Funk get the blood pumping, ‘Steppin’ Out For Summer’ and ‘Find Another Breeze’ recall the metropolitan alienation of Pet Shop Boys’ introspective 1990 album ‘Behaviour’. Indeed, the notable lack of guest musicians makes ‘Limelight Nights’ seem like a lonesome affair for the last Martin. The LP is said to emulate the twilight hour before the big night out. But instead of the buzz of anticipatory pre-drinks, we get the soundtrack to a lonely satellite voyage – a CD of preset-heavy tunes labelled ‘Good Old Days’ 1 through 8.